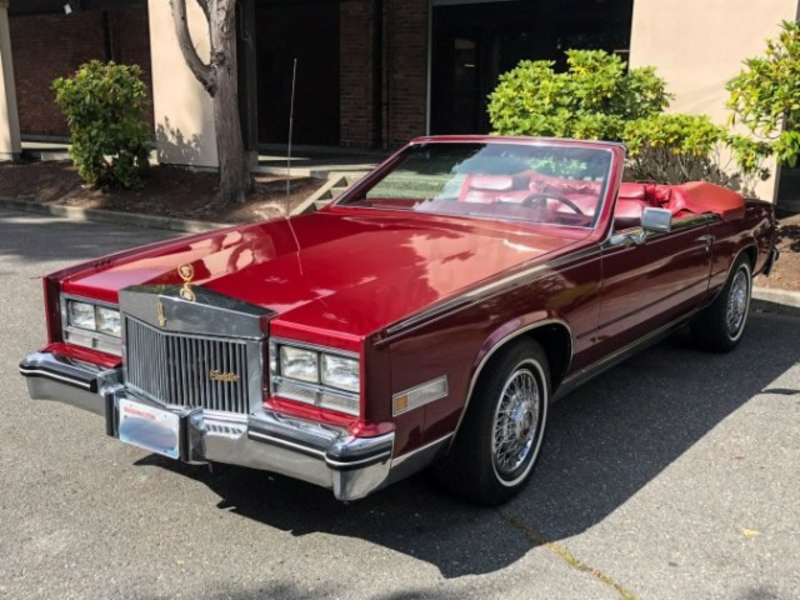 Allgemeine Beschreibung : 1985 Cadillac Convertible This is just an absolutely beautiful and nearly flawless 1985 Cadillac Biarritz Eldorado Convertible. 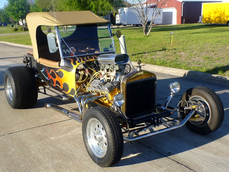 It is all original and only a 2-owner car that has been on the West Coast its entire life explaining is completely rust free body. The car has always been garaged and has only been driven approximately 2,000 miles in the past 11 years. The car is powered by 4.1 liter V-8 with a 4-speed automatic transmission that runs and shifts seamlessly. The engine compartment is very clean and the car has received all of its scheduled maintenance through its low 117,000 miles. The exterior of the car is in amazing condition for being 33 years old with its original Dark Russet Metallic paint. 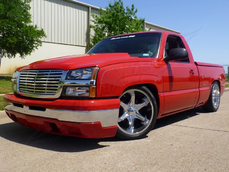 All of the chrome and bright work are perfect along with the gold plated emblems. 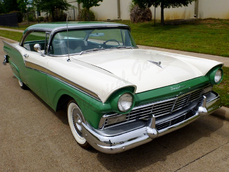 The convertible top is in good shape and the tonneau cover is in perfect condition. It sits on like-new Michelin tires.and the chrome wire hubcaps look like brand new. All of the original glass is in excellent condition and the pinstriping is almost like the day it was put on which can be rare on these cars. The interior just screams Cadillac luxury. All leather seats just make you melt into the the second you sit down in the car. 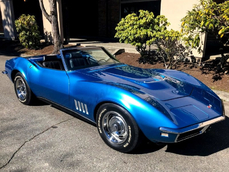 It is fully loaded and all original inside including tilt steering, power seats, windows, locks, trunk release and doors. It even has the original AM/FM/Cassette stereo with digital clock. 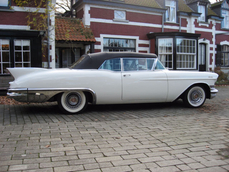 These cars are really beginning to appreciate in value and there are not many fine examples such as this one out there. Either pick it up as an enjoyable investment or a reliable daily driver that you can enjoy. We are offering this all original time capsule for NOW REDUCED DOWN TO $17,900.00! This car is being represented for a collector in Seattle, Washington area. 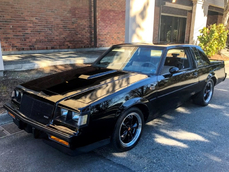 1985 Cadillac Eldorado Biarritz 4.1L V8 is listed zu verkaufen on ClassicDigest in Arlington by Cris & Sherry Lofgren for $17900.